Seely's second and third essays cover slightly different topics than the expanse per se. The second essay is on the water above the expanse and the third on ancient views of the earth and seas. Among scientifically naive peoples, who have universally believed in a solid firmament, only a very few seem to have a concept of an ocean or of water being stored in bottles above the firmament. We must beware of arguing from silence, but the vast majority of primitive peoples evidence no belief in a body of water existing above the firmament. As I previously said, I think Genesis is primary so there is much less to learn from other cosmogonies concerning the interpretation of Genesis than Seely thinks there is. There are also, of course, obvious differences between the two accounts both materially and even more so in their contrasting theologies. Furthermore, there is no reason to believe that Genesis is dependent upon Enuma Elish. Nevertheless, the two accounts are both ancient Near Eastern documents containing some very similar concepts and there may well be some genetic connection between them. Consequently, Enuma Elish is an important historical document for shedding light on the concepts employed in Genesis 1. This is particularly true with regard to nontheological matters wherever a parallel clearly exists between the two accounts. If they are both dependant on a common source perhaps; but even if this were the case, if Genesis is essentially edited narrative and Enuma Elish is mythologised history and speculation then the latter is less helpful in interpreting Genesis than vice versa. Scientifically naive peoples everywhere regularly conceive of the earth as a single continent in the shape of a flat circular disc. There are rare exceptions; but, in no case have they thought of the earth as a planetary globe. The human mind, as clearly evidenced by prescientific peoples, just naturally defines the earth as flat-until informed otherwise by modern science. Even pre-adolescent children in modern Western societies think of the earth as flat until informed otherwise by modern science. Which raises 2 questions. Why does Seely think that the view of children has much relevance? Children think the world is flat because it appears so, but the concept of a large globe appearing flat locally is an easy concept to teach them. The other question is: How did people centuries prior to the scientific revolution know that the earth was a globe? He acknowledges this later in his essay but 500 BC can hardly be considered contemporary with modern science. It is possible that astronomy was somewhat different in the millennia before Christ to what Seely suspects, and many ancient cosmogonies may reflect a loss of knowledge rather the earliest knowledge. Most of the rest of the essay does not concern the expanse directly. This comment from Seely on the meaning for the Hebrew word raqa` is interesting. "Expanse" is the Hebrew raqiya` which is derived from raqa` as mentioned in the first post. The exact relationship of the earth to the waters is expressed by the preposition `al. The preposition cal usually means "upon" and that is the first meaning given for it in both KB and BDB. Further, the other meanings of `al all flow out from the meaning "upon." Thus the first thing BDB says about the preposition ‘al is that its meaning is "upon, and hence ... [then follows a list of its other meanings]." The meaning, "upon," therefore, is an appropriate translation of `al in a text like Ps 136:6 where the immediate context does not lead us to any other meaning. The meaning "upon" is also the one most often chosen by modern translators of this verse including the translators of the NIV, even though Harris was a major editor of the NIV. The Hebrew invites this translation, and there is no contextual reason to translate the verse differently. Unfortunately, the only time the verb raqa` is used with the preposition `al in the OT is in Ps 136:6. But, raqa` has a close synonym, namely (iii, radad) which also apparently means "beat" or "spread out;" and, this synonym is used with the preposition `al in I Kgs 6:32 where it describes overlaying the cherubim with gold plating: "he spread out the gold over or upon (`al) the cherubim." It seems very probable, therefore, that the synonymous phraseology in Ps 136:6 (especially in the light of Isa 40:19 which uses raqa` in the sense of "overlay") means that the earth is spread out over or upon the sea. As gold overlays the cherubim in I Kgs 6:32 so the earth overlays the sea in Ps 136:6. I think that thru-out these 3 essays Seely gives too much weight to primitive cosmologies. While they have some similarities to each other, they differ from each other in several places. In which case differences may exist between them and the ancient Hebrew cosmology. The author of The Cross and the Switchblade died in a car accident on Wednesday. He was 79. His wife was travelling with him and is in hospital. It is with deepest sadness that we inform you of the sudden passing of Reverend David Wilkerson Wednesday, April 27, 2011. More information will be posted on the World Challenge website as it becomes available. In this imbalanced world, a balanced individual will often find himself saying, "Well, yes and no." In Christian circles, when there is a reaction away from ungodly compromise, there is a tendency to reduce every issue to a few simplistic formulas or doctrines. The next step is to approve of everyone who is with you all the way, and disapprove of everyone who shows the slightest concern about anything contained in the formula. Douglas Wilson, Beyond Stateliest Marble. How many days in the tomb? I agree that at the time of Jesus the Jews considered that days started in the evening, ie. at sunset, and finished the following evening. In my above posts I defend the position that Jesus died late Friday and was buried late afternoon/ early evening, near the time the Jewish Sabbath was beginning. The difficulty is how can they buy spices after the Sabbath as per Mark but prepare them before the Sabbath as per Luke unless there are 2 Sabbaths. Matthew and John do not discuss the women preparing spices though John mentions that Nicodemus had spices that he and Joseph wrapped into the linen prior to the burial. This fits Mark. Luke's comment about returning from the tomb and preparing spices is a comment about what happened some time during the period before Sunday morning. The Sabbath rest is mentioned at that point to explain why they did not go to the tomb the next day. Though I think the order of narrative reflects chronology, one must be careful about the rigidity with which this is applied. If chronological prepositions such as "before" and "after" are used then this indicates order. If not, and the context, or other Scripture, suggests otherwise then one must be careful about extracting chronological information when other literary features may be in play. So in Luke the Sabbath comment is included to explain why the women did not go to the tomb the next day. They couldn't visit the tomb. In fact they couldn't even prepare spices, it is unlikely they prepared spices after returning home late Friday just before the Sabbath as the burial was being completed about the time the Sabbath was beginning. Are there other solutions if we force an interpretation of spice preparation immediately after burial? We could argue that Mark and Luke are taking about different women, that one group prepared spices just before the Sabbath (Joanna) and another bought spices after the Sabbath (Mary). This is unlikely and I do not favour this option. We could argue that they prepared some spices before the Sabbath and bought more after the Sabbath. This would be feasible as the timing of the death would preclude them owning enough spices to anoint a body. But this solution is unnecessary given that Luke is not giving a rigid chronology. But what of the alternative? Jesus dies on the Wednesday evening. A special Sabbath goes from Wednesday evening to Thursday evening. Thursday evening to Friday evening is a normal day. And Friday evening to Saturday evening is the usual Sabbath. Addressing just the spice issue. We have burial before the first and special Sabbath. Buying the spices on Friday morning after this Sabbath. Preparation of the spices on Friday. Rest on the second and usual Sabbath. Visit the tomb after this Sabbath. But why not visit the tomb on Friday? There is more than enough time to buy, prepare and visit the tomb. Proposing another Sabbath to solve a perceived spice chronology creates a much greater issue: Why did the women stay home on Friday? If we allow Luke latitude in organising his material topically, the issue of the spices is further evidence for a Friday crucifixion. 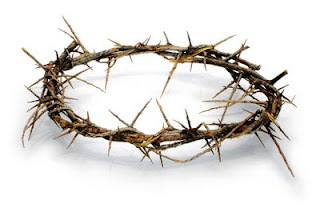 Though his kingship does not look like others who would rule this world. I find it interesting that we bow before a man who went thru an unjust trial, was beaten by men who hate him, was nailed to a patibulum and left hanging naked to die in front of a crowd, many who mocked him. A long way from the the rulers who conquer kingdoms or are born into royalty, and demand obeisance. Yet I gladly bow at the foot of a cross to a man whose only item symbolic of royalty is a crown, and that of thorns. Still, how appropriate that the result of the curse should grace the forehead of him who took the curse upon himself. a chef in Normandy insisted the omelette he had served was still vegetarian even though it was covered in "just a foie gras sauce". The classical economists, refuting the fallacies of their own day, showed that the saving policy that was in the best interests of the individual was also in the best interests of the nation. They showed that the rational saver, in making provision for his future, was not hurting, but helping, the whole community. But today the ancient virtue of thrift, as well as its defense by the classical economists, is once more under attack, for allegedly new reasons, while the opposite doctrine of spending is in fashion. Is the kilogram getting smaller? The kilogram is currently defined by an object, the IPK. Definitions of basic units would seem to need a couple of criteria, constancy and precision. The unit should be stable over time. It should also be a highly accurate measure, as much as reasonable for other units that derive from it. But apparently the platinum-iridium cylinder is losing atoms, so think some. 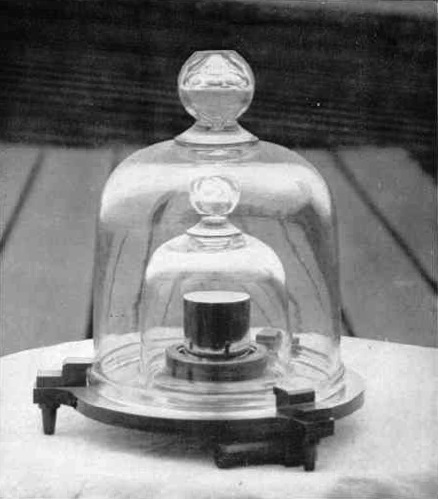 The official kilogram, a cylinder of platinum and iridium maintained by the International Bureau of Weights and Measures, is more than 130 years old. It is stored under three glass domes in a safe in a basement in Sèvres, France, and can be accessed only with three independent keys. Technically, the cylinder is not even the official kilogram until it has been cleaned in an authorized manner to remove contaminants. It is the only remaining international standard in the metric system that is still a man-made object. Some scientists now believe the official kilogram may be losing mass, which defeats its only purpose: constancy. This adds new urgency to a longstanding search for a new official kilogram, based, like the meter, on one of nature’s fundamental numbers, called constants. One would also assume that such a unit is accessible, which this cylinder is not; kept under glass. Though there are several replicas around the world which are periodically checked with the IPK. So we may see a future definition based on fundamental constants rather than objects. Of course this inhibits us measuring whether or not these constants are in fact constant over space and time. This is pretty cool. Apparently thunderstorms make antimatter. NASA have a space telescope called Fermi that has been orbiting earth for the last 3 years. It has detected gamma rays that have the energy which corresponds to an electron and a positron annihilating each other. 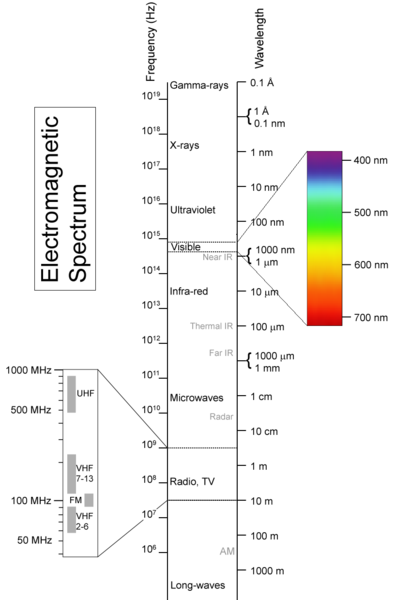 Fermi is designed to monitor gamma rays, the highest energy form of light. When antimatter striking Fermi collides with a particle of normal matter, both particles immediately are annihilated and transformed into gamma rays. The GBM has detected gamma rays with energies of 511,000 electron volts, a signal indicating an electron has met its antimatter counterpart, a positron. 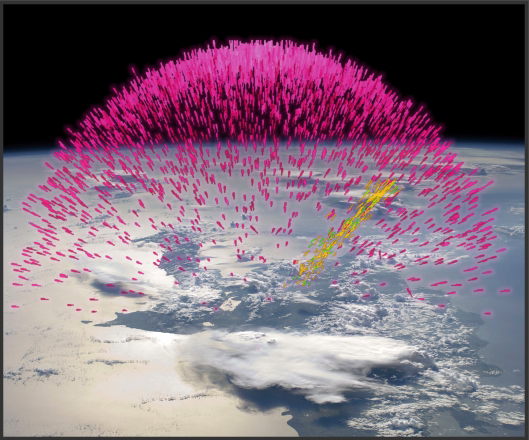 Thunderstorms create enormous magnetic fields which cause electrons to accelerate to high speed. When these high speed electrons hit air molecules they slow releasing energy in the form of gamma rays. This is similar to the mechanism by which we make x-rays. X-rays are created by speeding up electrons with a electric field in a vacuum and striking them on a metal plate. On slowing they release their energy as x-rays (a little more complicated than this). These x-rays are used for various purposes, frequently in medical diagnostic equipment. X-rays are high energy, but lower than that of gamma rays. Some of these gamma rays formed by the thunderstorm have high enough energy to turn into an electron-positron pair, the positron subsequently annihilating when it combines with another electron. From H.L. Hastings quoting Beza, as recorded by John W Lea in The Greatest Book in the World (1929). When the French monarch proposed the persecution of Christians in his dominion, an old statesman and warrior said to him, 'Sire, the church of God is an anvil that has worn out many hammers.' So the hammers of infidels have been pecking away at this book for ages, but the hammers are worn out, and the anvil still endures. If this book had not been the book of God, men would have destroyed it long ago. Emperors and popes, kings and priests, princes and rulers have all tried their hand at it; they die and the book still lives. Sire, it belongs in truth to the Church of God, in whose name I speak, to endure blows and not to inflict them. But it will also please your Majesty to remember that she is an anvil that has worn out many hammers. I have read a range of blog posts in the last month dealing with these concepts. While they have dealt with them moderately well, I think there has been some lack of clarity, especially by those who do not hold to these positions. It does not help when people compare the number of inhabitants of heaven and hell without considering who, if anyone, goes there. Universalism is widely thought to be a heretical position. It is the position that God will eventually save all men. All people will eventually respond to God's grace at some stage and end up in heaven. Such a position often allows for post-mortem salvation. People will still get to respond to the gospel after death when the evidence for God is more compelling. Universalism is seen by some as a heretical Arminian position. While I concede that some non-Calvinists may hold to Universalism, it is not a logical conclusion of Arminianism. Arminians hold that men retain the ability to reject God; that God could force all men to eventually love and follow him is inconsistent with such belief. I would think that a Calvinist could logically hold to Universalism in that he thinks that God can save anyone and turn his will accordingly. That said, I do not wish to imply that Calvinists do subscribe to universalism. There may be some, but secondary Calvinist belief teaches that God gains glory in his wrath against evil which implies some men are in hell. Annihilationism is the teaching that hell is not eternal. God will send men to hell. Those who reject Christ do not inherit heaven. While people are judged and sent to hell, they are destroyed there, their souls are not eternal. This is not a position that relates to the Calvinist Arminian debate, either side can be an annihilationist. While both annihilationism and universalism end up with people only populating heaven they are hardly similar positions. Hell is empty because no one goes there is markedly different from Hell being empty because the people there are destroyed. Inclusivism is the belief that people can go to heaven without hearing the gospel. It has considerable variation and one needs to understand which position is advocated rather than condemn all variants as incorrect. Even if each position is ultimately incorrect, they may be wrong for different reasons. Inclusivism is not a road to universalism. Of course universalists are inclusive by definition: if all end up in heaven and not all respond to God before death, then people outside Christendom must be included. But inclusivism does not imply universalism. Many inclusivists think that men will be damned, moreso, they can be annihilationists. Universalism, annihilationism, and inclusivism all speak to different questions. One to the universality of heaven's occupants, one to the duration of hell, and one to the nature of salvation. The reason for conflation may be because they are somewhat related. Universalists could be thought to be annihillationists as there is no need for hell, but that is an inappropriate designation. Universalists are inclusivists by nature, but because the converse is not true this is an unhelpful designation. How many books in the world? Google estimates 129,864,880. Though their definition of book is quite broad. If we generously assume a person could read 1 book per week from age 10 to 100, you will read less than 5000 books in a lifetime—0.004% of them. A musing I have had on occasion is: what if library (non-fiction) books were modified such that every errant statement was deleted? What would the books look like? Which ones would have a greater amount of white space than words? Which would be practically empty? I imagine dictionaries and books on mathematics would remain mostly unchanged. Evolutionary theory predicts nothing, not even a nested hierarchy. Rather, the theory adapts to data like a fog adapts to landscape. Walter ReMine, The Biotic Message. The Bible claims to be revelation from God. It is thought by Christians to contain truth: that is, what it says on its pages reflects reality. Of course if one accepts this he is still left with the issue of interpreting the text. Statements of faith can reflect this difference in interpretation. Thus we get people holding to a range of beliefs. It is possible for a Calvinist and an Arminian to be egalitarian; or for two paedobaptists to differ over ecclesiology. However holding one belief may increase the chance of holding another: beliefs are not mathematically independent. If 50% of Christians are paedobaptists and 10% are annihilationists, it may not hold that 5% are paedobaptist annihilationists. Resolving differences requires assessing what the Bible teaches and weighting passages appropriately. Now I think that some disagreements are genuinely over meaning. Which belief is most consistent with Scripture. I also think that significant disagreement comes about because of the influence of preference. People do want the Bible to confirm what they wish to be the case. Conceding all this I think there are still a couple issues. Some differences may not be different when we understand the issue in adequate depth. Two opinions over a single issue may be resolved when it is realised that the issue is actually divisible: perhaps one opinion is correct when applied to one component of the issue and the other correct when applied to the second component. For example, I think Arminianism resolves the sovereignty issue that the Calvinists (perhaps unwittingly) seem to conflate. However some differences are mutually exclusive. If the Bible is true, and there are contradictory interpretations, at least one perspective is incorrect. Christians who hold the correct interpretation will know the truth; they will know things as they really are, at least concerning that doctrine. Such doctrines have a range of importance. Some beliefs are more central than others. Some beliefs are more foundational than others. And some beliefs are more clear than others. By central I mean important to the Christian faith. These would include the deity of Christ, the literal death and resurrection of Jesus, the second coming of Jesus. By foundational I mean beliefs which other doctrines build on. Such as the existence of God, the creation of the earth and universe by a transcendent God, the infiniteness of God, the omnipotence of God. By clarity I mean how much the Bible reveals about the doctrine. Clear doctrines include the necessity of faith in Jesus for salvation, that God created the universe. Less clear doctrines would include the hierarchy of the angelic world, the nature of the Nephilim. A specific doctrines can range from central to peripheral, foundational to minor, clear to opaque. While any doctrine could lie anywhere along these 3 axes, central doctrines tend to be clear doctrines. The degree of disagreement does not necessarily imply a lack of perspicuity in the Bible, there are other considerations as mentioned above. But divergence of opinion may imply lack of biblical clarity. As such, I think it prudent that we hold opinions more lightly when we recognise that there is opacity surrounding a particular doctrine. One such doctrinal area is eschatology. I think Christians have disagreement here, in part, because the Bible is not completely clear about last things.